What’s News About Hillary’s Back Brace? 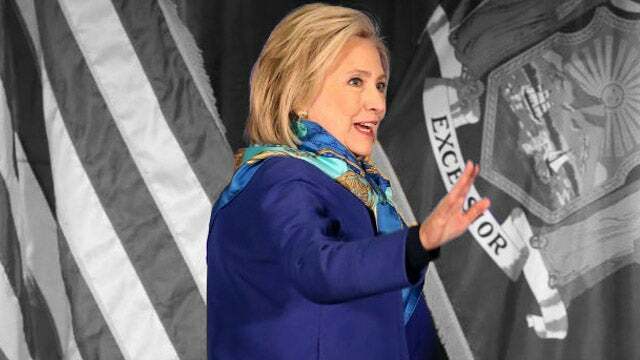 RUSH: By the way, there’s big controversy over a picture of Hillary wearing a back brace. Could somebody explain to me what’s controversial about that? I know she still needs that dry cleaning van with the high top to get in and out of ’cause she can’t bend over. But why does the fact that she’s wearing a back brace and she’s trying to cover it…? (interruption) What’s controversial about that? What am I missing? (interruption) No, no. I can’t tell you the number of people saying, “Rush, you ought to see it! Hillary’s wearing a back brace.” Right. That means, what, she’s a secret communist? That means she…? (interruption) Well, we did…? (interruption) What? “Sicker than anybody knew”? We know Hillary has… (interruption) What do you mean, “sicker than anybody knew”? That’s not news here. (interruption) The fact that something’s seriously wrong with her health is not news here. I’m telling you, it’s not news anywhere else. They’re just ignoring it. They can see she can’t get into a van without falling down. They’re the ones with the video of her practically falling down the steps, wherever she was, in Italy or the Greek isles. She had these two behemoth bouncer-type guys to make sure she didn’t fall going down some stone steps. You know what’s really starting to surface, though, that was kind of hidden beneath the surface? Apparently, Hillary really loves her adult beverages. I mean, really, really, really loves her adult beverages. She may like her adult beverages even more than Schneiderman is reportedly in love with his adult beverages, ’cause that’s a key factor in his behavior here, too, if you read that whole story. He’d invite these women over to his Upper West Side pad, he would already have consumed a bottle and a half of wine, and then ask them to catch up with him. But apparently Hillary, she might be the president of the Long Island and New York Elbow-Benders. Could be that bad.